Has K Surendran broken custom entering Sabarimala after mother's death with clean-shaven face? 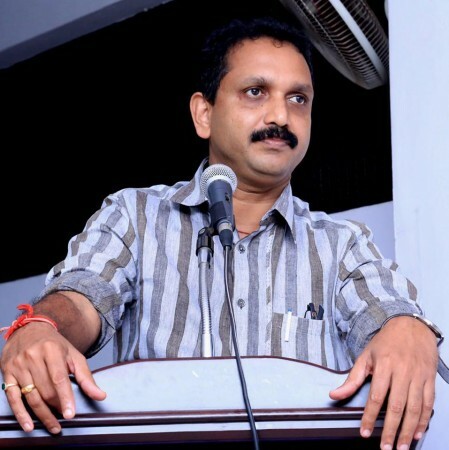 After the arrest, police officials made it clear that the entry of K Surendran was restricted to maintain the law and order in Sabarimala Sannidhanam. Earlier, Surendran had many times warned that BJP will conduct strong protests if the government tries to bring in women to the temple. Surendran argues that women between the age of 10 to 50 are not supposed to enter the Sabarimala temple as it will break the years-old traditions and custom. Now, a section of social media users has started alleging that it is K Surendran who has actually broken the traditions by entering the shrine within months after his mother's death. According to these critics, if somebody in the family of a Hindu believer dies, he or she should enter Sabarimala temple only after the completion of one year. Critics revealed that K Surendran's mother Kalyani died on July 05, and within two months, he made multiple entries to Sabarimala. These people also allege that Surendran had entered the temple with a cleanly-shaved face despite the fact that a man who is going to the Sannidhanam should not shave his face for 41 days. Another BJP leader VV Rajesh was also seen sporting cleanly shaven face while meeting the press in Sabarimala on Saturday. "Hindu traditions used to undergo changes in the course of time, and most of the times, it will be decided by the elite people, Brahmanical or other right-wing political forces. For example, when Surendran climbed the Sabarimala hill with a clean-shaved face, no customs or traditions are broken. It is very funny to see right-wing extremists trying to protect traditions by breaking customs," Livin Kumar NV, a former top brass SFI leader told IB Times. However, a section of Hindu believers dismissed these claims by making it clear that believers can enter the temple just 16 days after the death of their close relatives. In the meantime, some other Hindu pandits have clarified that Hinduism is a very liberal religion where there are no written scripts about traditions and customs.